Members of the Dutch Royal Family Attend the 2015 Prins Claus Prijs. On Wednesday, December 2, 2015, Their Majesties King Willem-Alexander and Queen Maxima of the Netherlands accompanied by Her Royal Highness Princess Beatrix of the Netherlands, Their Royal Highnesses Prince Constantijn and Princess Laurentien of the Netherlands, and Her Royal Highness Princess Mabel of Ornaje-Nassau attended the 2015 Prins Claus Prijs held at the Koninklijk Paleis in Amsterdam. The prize, worth €100,000, are presented each year to outstanding individuals and organizations in Africa, Asia, Latin America and the Caribbean for their outstanding achievements in the field of culture and development and the positive effect of their work on their direct environment and the wider cultural or social field. I am extremely humbled and overwhelmed to have been chosen as the winner of the 2015 principal Prince Claus award. I will never forget this day in my life. Unfortunately it is hard for me to enjoy this prize as much as I would like to, seeing the region where I work and live in flames and tens of thousands seeking refuge in faraway lands. I had already decided to donate 13.000 euro’s to the Sheed award, a fully independent photography prize in Iran. They will use it for an annual grant for two young photographers, as well as for a 5 year long educational project for young Iranian documentary photographers. The Mahak charity helps children with cancer. They treated my cousin Ali Reza who suffered from leukemia. Despite the fantastic and free care he did not make it and died age 10. 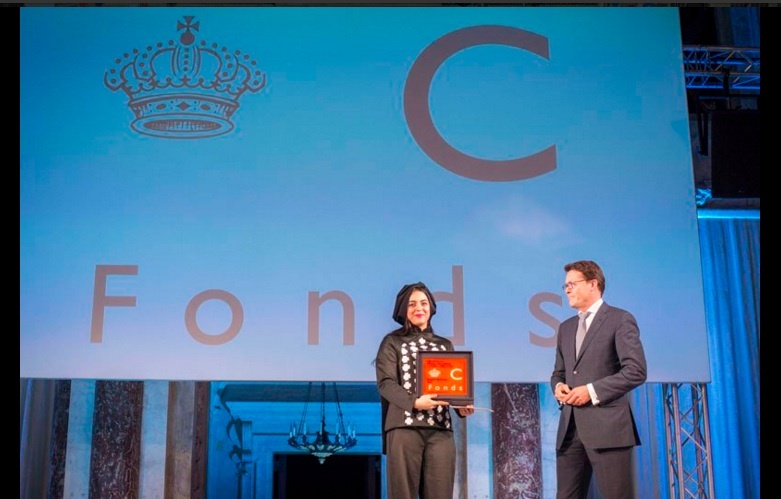 I had long ago decided to support them, the Prince Claus award helps me to donate 10.000 euro’s for their charity. Animals are the love of my life and there are several good organizations in Iran supporting animals in my country. I salute the often young volunteers who work day in day out in shelters. I will divide 7000 euro’s over some of these organizations. Today I have also decided to donate another 15.000 euro’s to an organization supporting Syrian and Iraqi refugees. I have worked in both their countries and want to give back to all the kindness Iraqi’s and Syrians always welcomed me with, despite the dire circumstances they live in. Please help me find an organization that helps people in a good and transparent way. All suggestions are welcome. I will report on my Facebook when I made the donations. I want to dedicate this Award to all colleagues who risk their lives telling stories of others that no one listens too. If you are interested in learning more about Ms. Tavakolian’s amazing work please visit her official website here. To view photos please click here and here. Previous HM Queen Maxima of the Netherlands Visits Washington, D.C.
Next (VIDEO) HIH Prince Takahito of Mikasa Turns 100 Years Young!